Had a bit of a beast of a project which is almost done .. Connections on IBM i (iSeries, AS400), with Docs on Windows, Kudos analytics and a bunch of other stuff .. I have loads to blog about that .. that is for another day as I am currently writing all the documentation up …. In other news .. it may be a bit of a secret but I am a tiny bit of a Star Wars and Disney fan and I do like to throw a Costume on to raise money for a good cause or two. I have also been inspired by my good friend Mr Tim Clark who has recently blogged about making a change to lose weight and get fit. I have decided to follow his lead. So two weeks ago I started the same Cambridge Weight Plan as Tim and I also have the support of the amazing Marissa – It hasn’t been easy as it is a massive shock to your body to basically stop eating *crap* and just give it what it needs, but I feel amazing .. So on the back of this .. my Best Pal, fellow Disney and costuming nut, the lovely Samantha Cunningham talked me into running a 5k at the inaugural Disneyland Paris Marathon Weekend .. initially I was terrified of the thought as I haven’t done any kind of real running since I was in High School (I used to be a 100 and 200m sprinter). The more I thought about it, I realised that I can use this as a goal and to keep me motivated to keep on with the weight loss and exercise. I am not known for my will power I must admit, I was worried I may cave or give up !! To stop this from happening I am running for a charity. Specifically the 1st Sensory Legion who are the driving force behind Feel the Force Day. If you can spare a £, $, € or any other currency please head over to my just giving page or the team page. Can you spare an item to help raise money for two amazing causes? 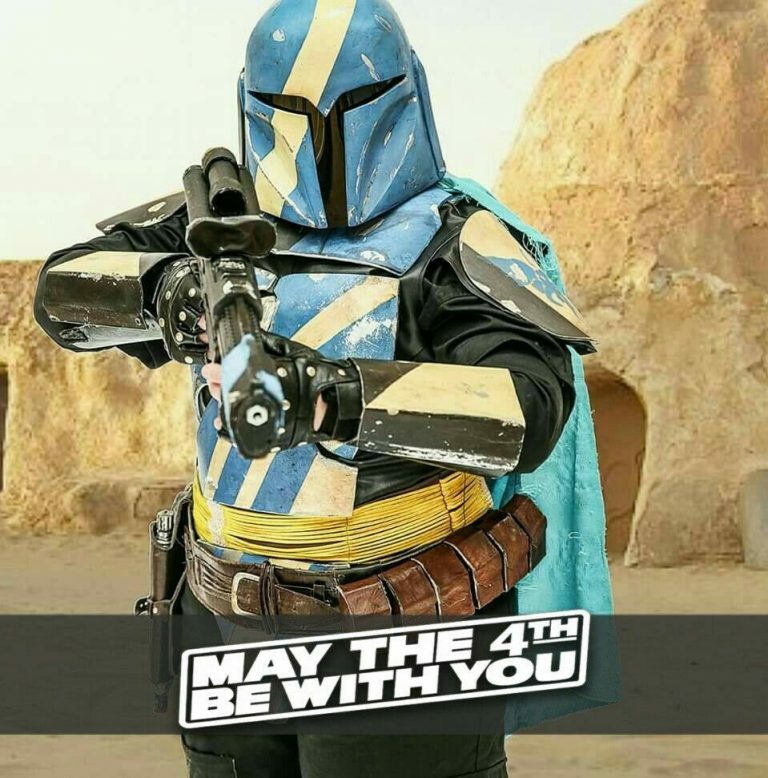 Friends, Geeks, Costumers, fellow Disney fans, lovers of star wars, friends of friends, basically everyone …. 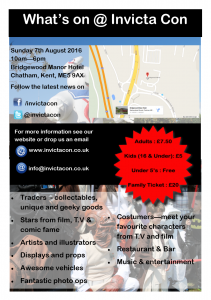 As some of you know I am part of a team behind a charity convention later this year (August 7th). 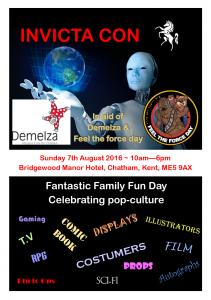 Feel the Force Day (registed charity – 1st sensory legion) – Feel the Force Day is an accessible film and TV event designed for visually impaired and disabled people. Days include tactile costumes, props, vehicles, TV and film related smell jars… plus a few new and original ideas at each event. 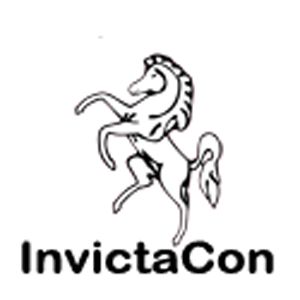 All proceeds from Invictacon will be split between the two charities above – as you will agree both great causes. 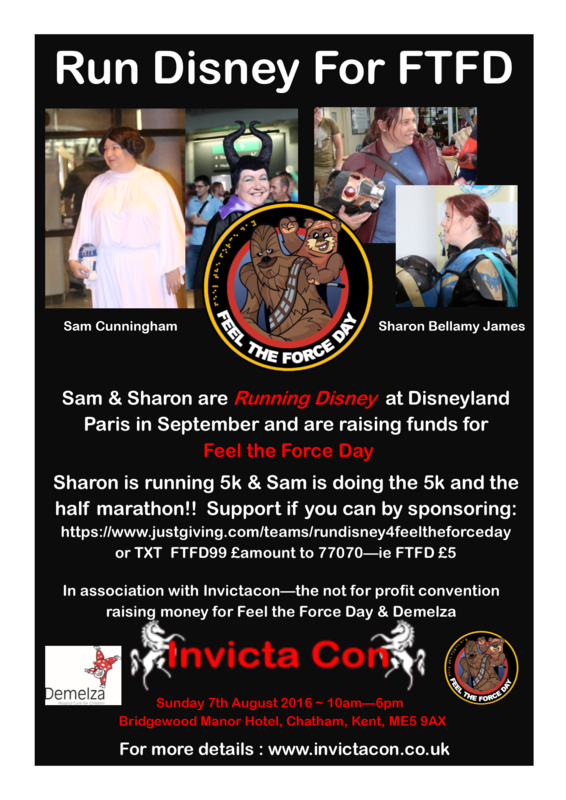 The Invictacon team are looking for donations from you .. not in the monitory sense (although cash donations are lovely) – we are looking for items that we can use in our raffle and blind auction. How can you get it to us? The competition is being judged by the lovely Alan Flyng – Star wars (ESB / ROTJ – storm-trooper and imperial officer) who is an amazing costume maker / wardrobe master who has worked on thousands of TV, film and theatrical productions. So my plee for help ends .. if there is anyway you could part with something no matter how small to help us raise funds for both causes the whole team would be so so grateful. The team and I can not thank you enough – we are all volunteers and get nothing but a warm and fuzzy feeling for raising some well needed funds for two amazing causes. 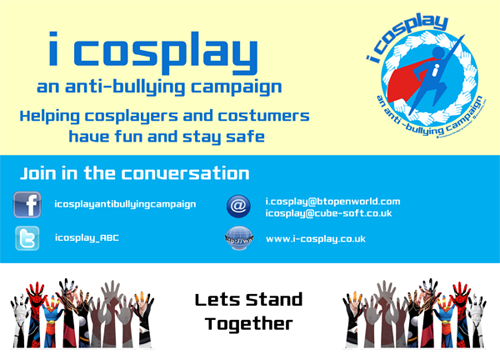 Hello developer types .. as most of you know I do a lot of work with the iCosplay anti-bullying charity and we need some help (please). We are looking to reward costumers for doing charity work, community work, visiting sick kids in hosplital, etc . Their progress will be voted on via FB which is straight forward enough – but at the end of the year the top community costumers will be invited to the Wyntercon event in Eastbourne (in Oct 2015) for the *end of season* pageant where ultimately they will be recognized for everything they have done throughout the year. We are after a mobile app that we can use for the team to mark each of the entrants – on their costume, community assistance and charity work and anyother details that they can provide about what they have done through-out the year. It needs to be able to run on ‘droid and ios, the backend / server can be anything really as long as I can put up a server for it .. If any one can help out .. we will be eternally grateful, will happily promote your awesome skills via the iCosplay site and FB page and you will get tickets for the Wyntercon event. Thank you in advance for any help you can give us on this .. please ping me via twitter / FB or Skype if you think you can help us ..